You have probably noticed a lot of cute rabbits and eggs of all shapes and sizes popping up around Tokyo recently, and there is a very good reason for this: it's Easter! If Easter is the most important Christian festival, it is also a holiday that marks the beginning of Spring and celebrates fertility in some cultures, and as such, it is celebrated in many different ways around the world. The date of Easter changes according to the first Sunday following the full moon occurring on or soonest after March 21. This year, Easter will be on April 16, 2017. While the concept of Easter is new here, Japan is a country that loves to create festivals by adopting AND adapting celebrations from around the world. Over the last few years, the Easter season in Japan starts right after the cherry blossom season (beginning of April) and lasts until the rainy season (beginning of June). Around the end of March, a few confectioneries start selling seasonal products on the theme. At the Tokyo Disney Resort, for example, there is a special hunt each year where guests are invited to find characters and eggs hiding around the parks including a new character named Usatama (from usagi, rabbit and tamago, egg). But where do the rabbit and eggs really orginate from? The Easter bunny was born in Germany, and was originally an Easter "hare". Similarly to Santa Claus, the Easter hare would decide whether children had been good or naughty, and reward the good ones with colourful eggs, candies, and sometimes even toys, on the night before Easter. Although the traditions vary across the world, the egg remains an important Easter symbol: while in some countries they are hard-boiled and dyed or painted, in some others, they are made of chocolate and wrapped in foil, before being hidden by parents in their houses and gardens for the children to find and enjoy. 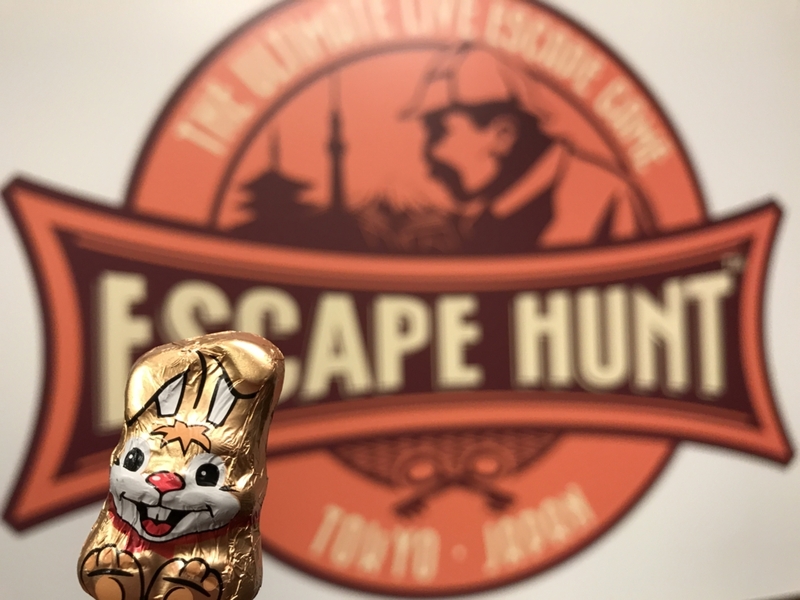 This year, we are organising our first Easter Hunt inside our game rooms: from Monday April 10th until Sunday April 16th, enjoy our games, find the hidden bunnies, and get a surprise! Escape Hunt Tokyo wishes you all an Eggcellent and Eggciting Easter!